Here’s how Williams expanded on this thought. In reality, we don’t have a message for the player in terms of when androids will appear, or if they will be dangerous. Our goal is to introduce interesting questions and dilemmas to the player and allow [them] to form [their] own opinion. I think these technologies will look like science fiction to us until they suddenly become reality. I think we will be caught by surprise, and the more pertinent question will become: will we be able to control it? The book The Singularity Is Near was obviously an inspiration for us, and we found its implications very interesting. There are many opinions around, but most form a consensus: as far as true artificial intelligence is concerned, it will mean a bigger transformation for humanity than internet and cars. One of the issues that I think it will raise, and that’s one of our main topics, is; what does it mean to be human? 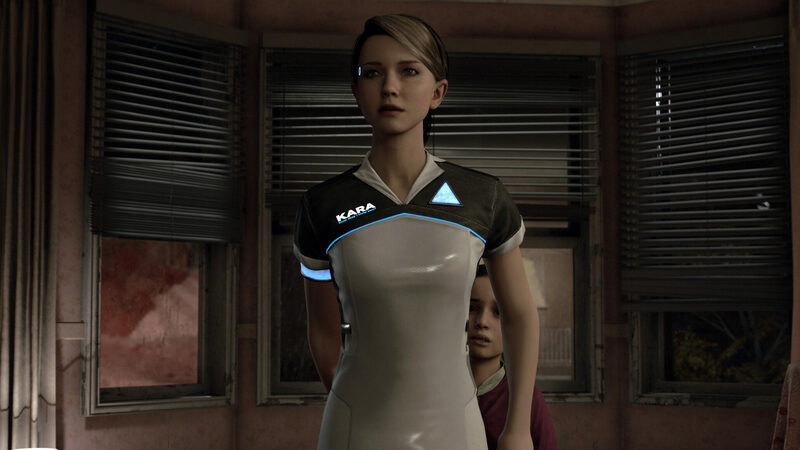 If you look at Kara in the Paris demo, I think she is a more humane character than the father, despite her being a machine. I think that humanity goes beyond the physical element, I think it is related to intellect, spirit, morality… and this is one of the issues we want to develop with the game, understand what the player thinks that being human really is. In our opinion, it is more important to put these issues on the table then necessarily share answers. We want to transport the player to our screenwriting room and ask [them] this question, this dilemma, and understand what [their] opinion is. That’s why Detroit: Become Human is such a formidable experience, and that’s why two players will hardly have the same exact gaming experience. Their experience will somehow become a reflection of what they think, what they feel. In short, expect to get questions rather than answers. It will be up to you to ultimately interpret what’s on the screen. Detroit: Become Human is now scheduled to hit Sony’s PlayStation 4 console in Spring 2018.